I know this year there was a lot of buzz about the Amazon Echo during the holiday season. I had a ton of friends and family ask about it, and I thought I'd share why it's a "must-have" item for me and my family! I received it last Christmas as a company Christmas present, and I promise, it's the gift that keeps on giving. Everyone in my family (Josh and the kids and I) uses it daily. "Alexa" as she is called is someone who is always around and ready to help. We have her in our kitchen, and we pretty much talk to her everyday. I keep my shopping list on the Alexa app. Instead of keeping a list next to the fridge or having to type it in my notes section of my I-Phone, I literally say, "Alexa, add olive oil" or "Alexa, add butter." Alexa then says, "I've added olive oil to your shopping list." Y'all...this is a game changer! When I get to the store, I pull up the Alexa app on my phone and my entire shopping list is there. We can always ask Alexa what the weather is, and she lets us know. We use our Amazon Prime membership to play Amazon Music through the Echo. It's a great speaker and can play throughout our downstairs. We can ask Alexa to play genres of music (like Contemporary Christian or Christmas music) or she can play by an artist or a specific song. We ask Alexa questions. Instead of us having to look things up on the computer or our phones, she does it for us..lazy, I know. Alexa can read us the news each day through the "Flash Briefing" she does. Alexa can help me in the kitchen when I'm cooking and baking. I've asked her to help me convert a measurement, and she's also been my timer for meals. All I have to say is, "Alexa, set a timer for 12 minutes." My kids try to trick her all the time with really long math problems. She answers them every time, but sometimes, her answer is so long we have to say "Alexa off." Just like my grocery list, Alexa can add to my to-do list. Instead of having little post it notes I carry around with my to-do list, Alexa keeps it for me on my app. I can say, "Alexa add file taxes to my to-do list." When we're hosting a party, we use Alexa/Amazon Echo to play our music downstairs. My favorite is when one of us says, "Alexa off" or "Alexa Volume 4" and people are so confused. She's like our little personal assistant who answers our every need. 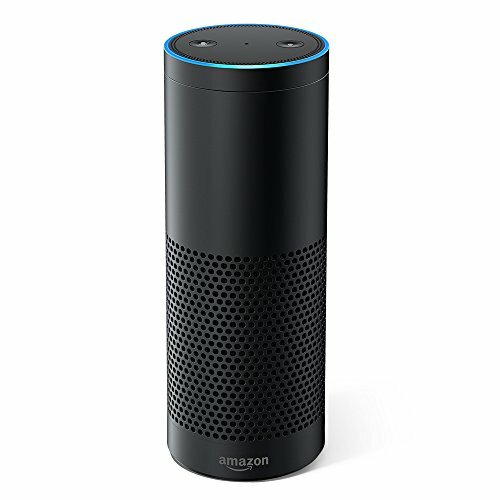 If you have an Amazon Echo, am I missing something? I seriously love this product and wondering if y'all do to? Amazon Echo-Top 10 Reasons to Buy!